…and actually also my workhorse D4S and the 600mm f/4E FL lens, but that would make for a rather lengthy and potentially boring title! This article, and the following ones on the same topic will hopefully not be boring at all; at least my recent trip to Tanzania and Rwanda were far from it. 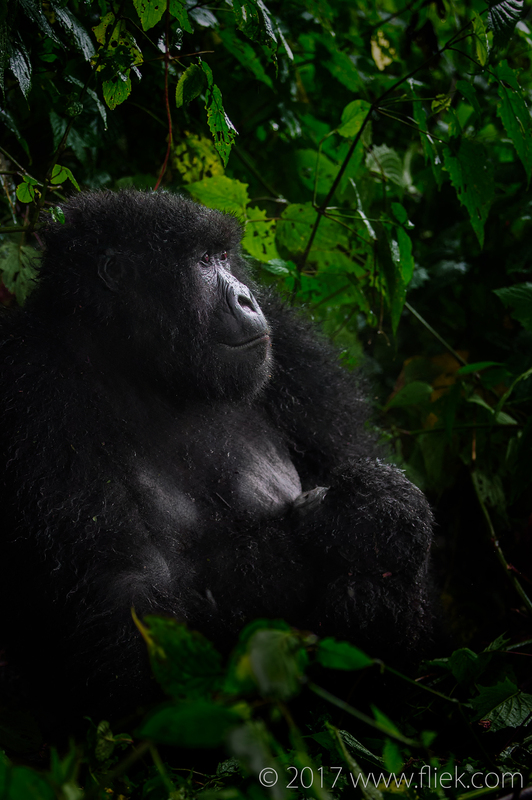 In fact, the trip to Rwanda was a life-changing one, as many people have described it as well who have experienced the same as I have: encountering mountain gorillas in the middle of dark Africa. It’s an experience that is hard to describe so I will mostly let my images speak for themselves. My travel started in Tanzania where I wanted to shoot images of leopards; something I had not been able to on previous visits to Africa for years. 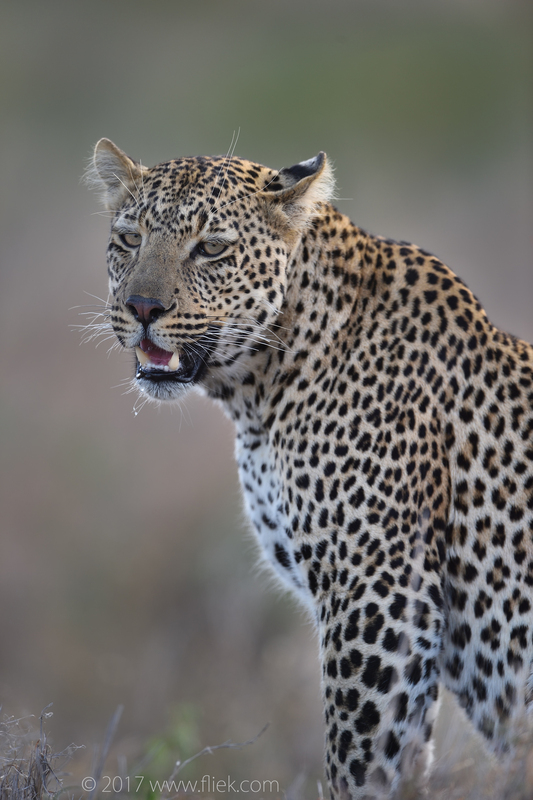 Leopards are very tricky to shoot: they are often in trees, either sleeping or waiting for lunch to drop by. And against a blue sky they make for a pretty lousy artistic shot. 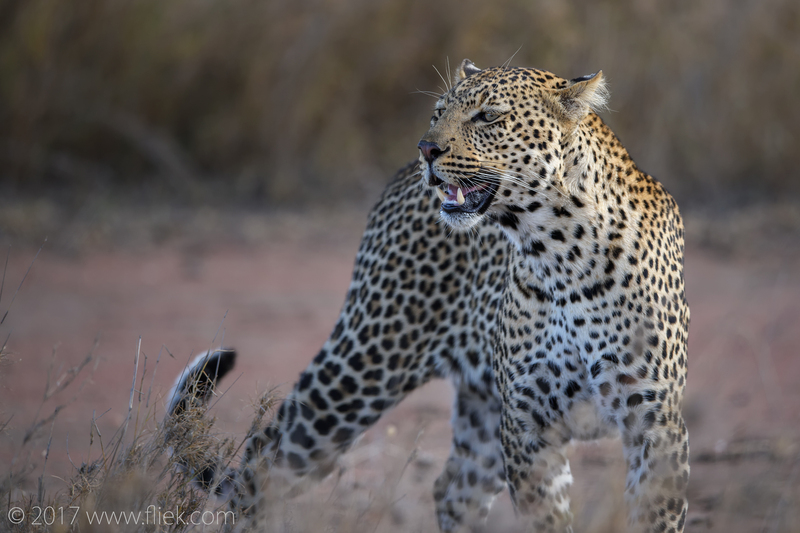 So on the very first day I was incredibly lucky to find this young leopard walking around, searching for prey. And I wasn’t the only one: I’m assuming I’m talking to a rather large, mixed crowd of photographers via my blog and that would mean some of you use iPhones or something similar to take pictures while on a safari. 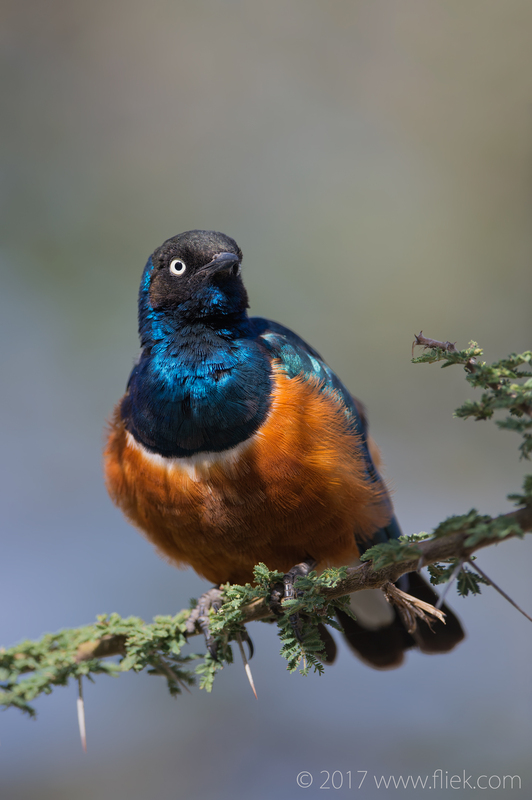 Perhaps not many, but probably a few… Well, when you’re on safari in the Serengeti in Tanzania the ratio iPhone (or similar) vs. DSLR would be something like 90 to 10 – not joking. I was amazed how many tourists use their mobile phones on a safari. Something I fail to understand to this very day. Let’s just be very clear: please don’t. Looking at the images you are trying to get – and weren’t able to will (most likely) make you regret your decision when you’re back. 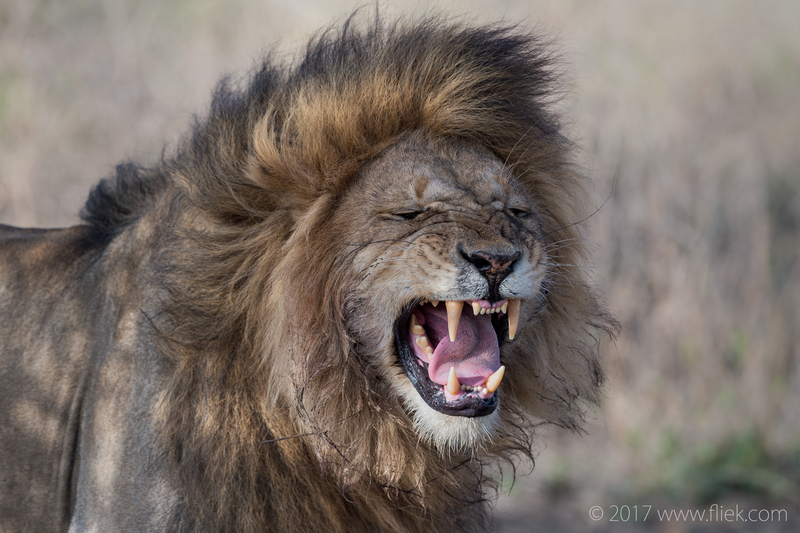 Anyway, back to the story… In this specific case I was surrounded by a dozen (4×4) cars or so (not a strange phenomenon in the Serengeti unfortunately), and there are about two lanes of them obstructing my view with my D4S and 600mm combo. Through some small miracle my driver managed to squeeze in and I actual got a shot of this beautiful creature without any movement to navigate, nor time available to consider any alternative positions or gear. You may have noticed I did not present any image that was actually shot with the new Nikon 70-200mm f/2.8E FL lens, which I briefly tested in my previous article. Well, one of the key reasons I decided to get that pricy gadget was for my trip to Rwanda. I had done a bit of research and the stories were all the same: chances are you will get quite close to the gorillas so forget about a 600mm super telephoto lens. In fact, you may get so close (very close… too close) even a standard 70-200 zoom may be too much. However I decided to carry two camera/lens combos with me: the new 70-200mm attached to my D4S and the 200-500mm attached to my D500, just in case. 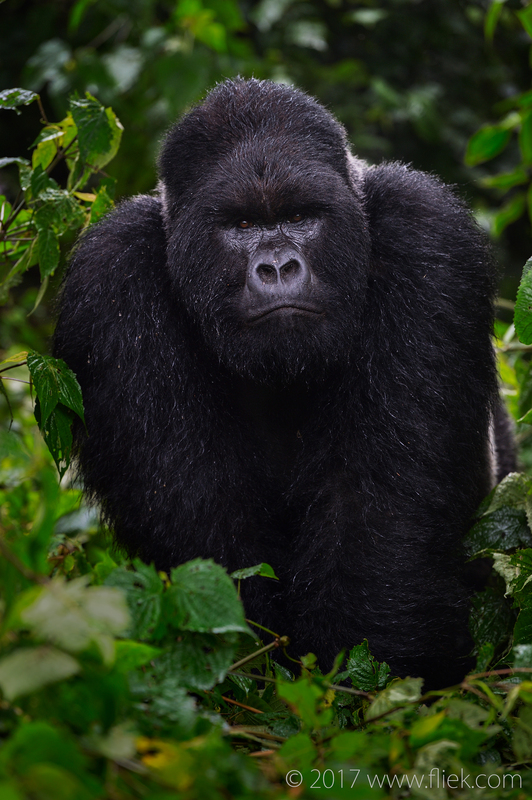 My guide told me story: there was a male tourist once who bragged about being able to arm-wrestle a gorilla, a silverback. Apparently the guy had some muscles and felt he was very strong. And not afraid. My guide told me the guy was the first one in the group who ran away the moment he laid eyes on a silverback, probably staring right back at him. By the way: I must have been as scared as that guy; however I knew I just had to continue to shoot. This was what I had come here for, and I wasn’t going to give in (or up). When this big boy came slowly towards me my guide did come to me though and told me to very slowly step back… More on that in my next articles. On that note, I’m not sure yet how many articles I will write about this visit, but given the amount of shots I took I think there will be another 4 or 5 – at least. Hope you will stay tuned!